It has been a long time since I wrote something about a movie so I'm not going to let this day pass without sharing to you the one that I've just watched several hours ago. Because I'm located at this kind of remote part of Bohol, the nearest cinema is more than a hundred kilometers away. But it was not a hindrance for me to see the sequel of the blockbuster film adaptation of Transformers. 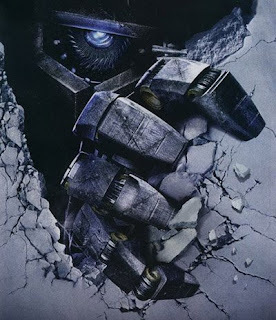 If you have seen the previous Transformers movie and liked it, then wait till you see the second installment. In my opinion, Transformers: Revenge of the Fallen is one of the most action packed films of all time. --It's two and a half hours of never-ending explosions, fight-scenes, and total chaos. The storyline is as engaging as the stunning lead actress visual effects that can get you glued to your seats. It has humor, suspense, drama, and romance (between robot and human included). Talking about visual effects, I think the sequel has significantly improved since Transformers 1. The robots are looking more realistic with plenty of close-up shots and the animated scenes are a lot smoother. This is a fact: while the animation studio ILM needed 15 terabytes to store data for the 2007 film, on Revenge of the Fallen they used about 140 terabytes. Amazing, isn't it? This is not a joke: I also noticed that the robots could now spit and even sweat a little. The setting or the different locations used for the film are equally impressive. You will see the breathtaking view of Egypt and witness a pyramid being literally crushed; watch a chase scene inside the busy streets of Shanghai, China; and a few more. I'm not going to give further information about Transformers "Revenge of the Fallen" because I don't want to spoil it for those who haven't seen it yet. One thing is for sure though, the 2-hour drive (4 hours including the drive back home) that I took just to see the film on the big screen was extremely worth it. I think the story is too shallow. Better read my post, coz I don't want to reiterate my point and the review in yahoo about it. I really don't care about the negative stuff that were being said or the inconsistencies of this movie because I'm a big fan of Transformers and sci-fi. It's like if you love Superman it was never a turn-off for you to see him wear his underwear on top of his costume. lol man I thought i was a serious nerd, but even my transformer nerd friends didn't like this movie.